The 2015 Brazil National YoYo Contest was held in São Paulo on May 30th, and we have full results! Daniel Borges was the winner in the 1A division, beating previous National Champions Ricardo Marechal and Victor Sacchelli. In 4A, world’s number seven, Gustavo Amaral, had no trouble maintaining his title. José Lucas Dechen also kept the 5A title, his third so far. Hideki Yassuda, the only 3A player in the Open division, managed to beat the three 2A players to claim his second national title! 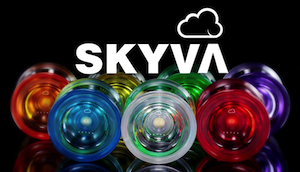 2015 Japan National YoYo Contest Results and Freestyle Videos! The 2015 Japan National Yo-yo Contest comes to an end with mind-blowing freestyles, and some surprises among the winners! In 1A, Takeshi Matsuura retains the National title with yet another superb mastery of slack tricks! Yusuke Otsuka, who’s been better every year, finished second, followed by three of the best players from the new generation: king of 44FESTA Yamato Murata, and C3yoyodesign’s duo Ryuichi Nakamura, and Shion Araya. 2A also saw last year’s champion retain his title, with Takuma Yamamoto finishing with a four-point lead even after shedding two points to yo-yo stoppage. Shu Takada scored an incredible 38.5 out of 40 in evaluation scores and finished second, followed by living legend Shinji Saito. The biggest upset of the contest was in 3A, where current World Champion Hajime Miura was unable to present his usual consistency and finished in fourth place! The winner, Tomoya Kurita, had a couple of great bangers and pretty good trick volume, giving him the edge over runner-up Mizuki Takimoto and 2010 World Champion Minato Furuta. Rei Iwakura trampled over all the other 4A contestants with yet another superb freestyle! His evaluation score? 38.7 out of 40! Naoto Onishi was the runner up, over ten points behind Rei, followed by former World Champion Tsubasa Onishi. 5A was up for grabs this year, with neither Takeshi Matsuura or Takuma Inoue competing. Hideo Ishida, who had finished third a few times before, was the clear winner, even with some loss of control during his freestyle. Sora Ishikawa displayed his usual repertoire of bangers, but was hurt by lower trick volume and a -3 deduction for not returning the yo-yo to the hand at the end of the freestyle. With the World Yo-yo Contest approaching fast, players worldwide are now aware of what to expect from the home field contestants, and Japanese players had the chance to experience the venue that will host the contest in August! Check the full results below! The 2015 Japan National Yo-yo Contest is underway and the first day is now over. With very few spots available for finals, many of the crowd favorites didn’t make it, and it just shows how tough competition can be in Japan! In 1A, most finalists from last year managed to make finals once again, and it’s hard to pick a favorite, although Takeshi Matsuura is probably considered the top contender in most people’s minds, as the current National Champion and World’s #2. 2A is also stacked, with World and National Champion Takuma Yamamoto defending his title against heavyweights Shu Takada, Hiraku Fujii, and Shinji Saito. Also notable is Kiwamu Ebata’s presence among the finalists, where he was last seen in 2007! The favorite in 3A is no doubt World Champion triple-A machine Hajime Miura, who also qualified for 4A finals! Speaking of 4A, this is yet another division with the highest level players battling out for the National title. Rei Iwakura, now representing C3yoyodesign, is the man to be defeated, and even with the absence of Naoto Okada, the field still has Futoshi Maruyama, Tsubasa Onishi, and Kazuaki Sugimura, all very experienced players eyeing the title. 5A should be VERY interesting. Takeshi Matsuura and Takuma Inoue are not competing this year, making the winner very hard to predict! Hideo Ishida, 3rd place at Japan Nationals a few times, and Sora Ishikawa, 3rd place at Worlds last year, are the favorites, but the rest of the pack is not too far behind! Here’s the order for tomorrow’s finals! Who’s your favorite? 2014 Philippines National YoYo Contest – Reymark Zavalla Wins! Awesome crowd at PNYC 2014! Results are in for this year’s Philippines National Yo-yo Contest! Reymark Zavalla is still the champion in 1A, making him 3-time national champion! Kyle Capiral also repeated his great result from the past few years and grabbed his sixth (!!) national title! John Eric Galicha won his first title in 3A, after finishing third last year. The country’s biggest winners in 4A and 5A – Sean Perez and Bryan Jardin – were absent this year due to their relocation to the US, clearing the path for Rocky Loyola in 4A, and Jaued Cervas in 5A. Jaued had last won his division in 2011. Reymark also won the Battle of Champions, securing his trip to AP 2015 to represent the Philippines! Videos will be up soon and we’ll post them here shortly! Results are in for the very first Israeli National YoYo Contest! It’s always exciting to see the birth of a new yo-yo scene, especially when they seem to be doing everything right from the very beginning! 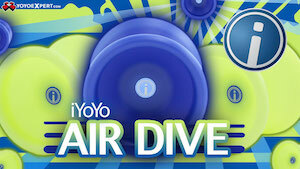 Babayoyo is the main force behind the Israeli yo-yo scene, and they’ve just held their very first national contest! Mexican 1A legend Paul Kerbel is also living in Israel now, which is no doubt quite an inspiration for all local players! And the first Israeli National Champion is Tal Mordoch, who also competed at this year’s EYYC, and displayed quite a lot of confidence on stage. On to the results! More videos can be found on the Babayoyo YouTube Channel. YoYoFactory player Patrick Borgerding dropped jaws and blew minds with this 3A demo at the 2013 Mexican National YoYo Contest. 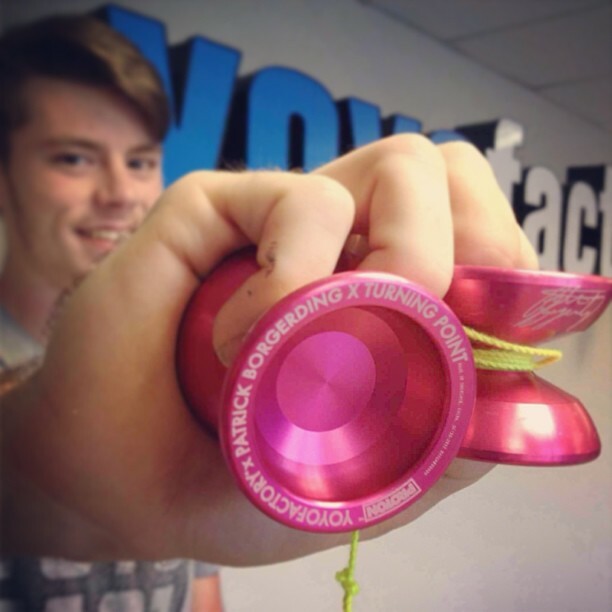 He seemed to be throwing a pair of customized pink YoYoFactory x Turning Point Protons that were made for him just before the event. It’s nice to see more and more countries building their local competition scenes! One of the newest of those countries is Vietnam. Their national contest was held on November 18th in Ho Chi Minh City, in all five divisions! Check the results and winner videos! Big names dominate Philippine Nationals 2012! Philippine Nationals were held last weekend in Marikina city, near Manila, and there were no surprises among the winners! In 1A, the winner was Crucial’s smiling man, Reymark Zavalla. 2A was won once again by Kyle Capiral, making this his fifth national title! Another title collector is Duncan Crew’s Sean Perez, who won 4A for the sixth time, second in a row! 3A also saw last year’s champion defend his title, as Mr. Kitty String Hiro Koba, dominated the field. Finally in 5A, this year’s Asia Pacific champion, Bryan Jardin, was the winner, claiming back his national title after last year’s upset. Congratulations to all winners! Check the full results below, courtesy of mister Jay Nolan! Philippine Nationals: Sean Perez clinches 5th title! The Philippine National yo-yo contest was held this weekend in Imus, right next to Manila, and all 5 divisions were disputed. Over 70 players registered, making this one of the biggest national contests out there. Kyle Capiral was the only competitor to repeat last year’s title, securing the 2A victory ahead of Martin Desamito and Hiro Koba. Koba and Capiral switched places in 3A, with Koba in 1st place, Sean Perez in 2nd and Capiral in 3rd. In 1A, last year’s winner Ernest Kahn was unable to repeat his good result and ended up in 4th place, behind winners Robert Tamayo, Reymark Zavalla, and Preslie Saraza. 5A also saw last year’s champion drop a couple of positions, with Duncan Crew’s Bryan Jardin finishing 3rd behind runner-up Paolo Alto and the new champion, Jaued Cervas. The toughest battle was once again in 4A, with long time rivals and teammates Sean Perez and Paul Murillo battling for 1st place. In 2010, Murillo was able to secure the title, and this year he had the highest technical score (70.00 against Sean’s 68.30), but was beaten by Sean Perez in the Perfomance score (26.40 against 30.00), bringing the “Coffeeboy” back to the top for his 5th national title! Full results can be found on the contest’s Facebook page.